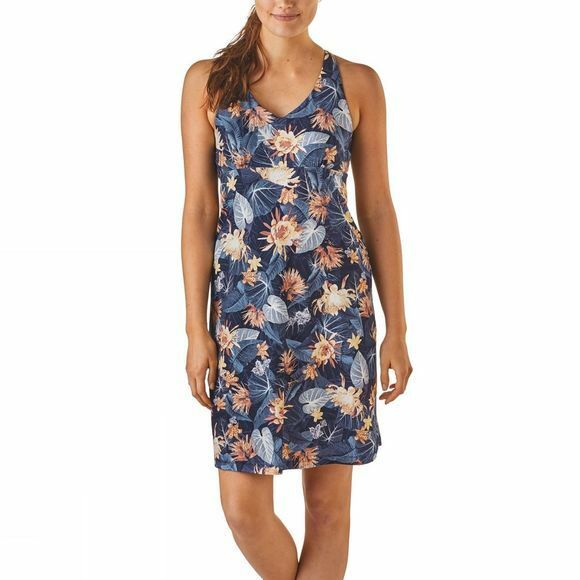 The Women's Magnolia Spring Dress by Patagonia is a smart, lightweight above-the-knee dress with an air-wicking finish and Polygiene odour-control system to keep you cool and fresh even when the weather warms up. The A-line silhouette dress features an empire-style seam with an internal shelf bra for both support and comfort. 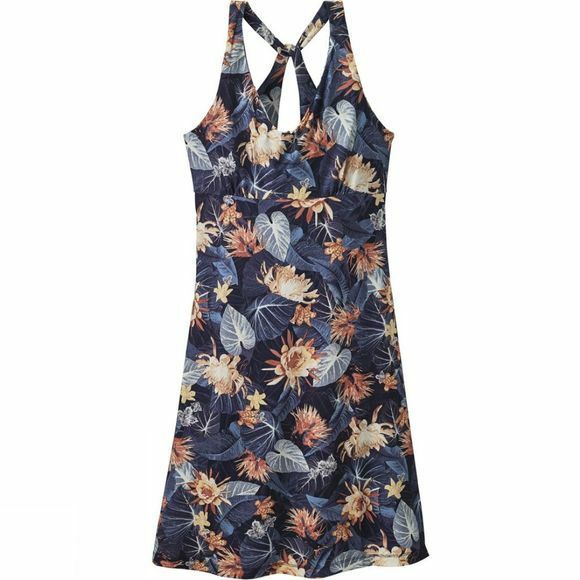 The attractive, decorative twist on the back make this a stand out peice for the summer.